with comments, suggestions, errors found, etc. I am very fortunate and honored that six of my Gettysburg Battlefield photographs, Presented Here, were chosen to be placed in the new Gettysburg Museum and Visitor Center. Currently, I am one of only two contemporary photographers who have their work displayed there. I am also the only photographer they have chosen to have two large format photographs (matted and framed) displayed on their 'Big Print Wall'. Gettysburg Photos: Click on the thumbnail photo directly below to view a few of the various photos I have taken at the Gettysburg Battlefield. Colonel David Ireland, born in Scotland, eventually found his way to Binghamton, N.Y. He was the commander of the 137th N.Y.V. Infantry, which he recruited here in Binghamton. The 137th saw action in many places, and suffered great losses during the war, most notably at Gettysburg. Get to know a little more about Col. Ireland and Other Men of the 137th N.Y.V. Infantry. The Empire State erected a large monument at the National Cemetery in Gettysburg, dedicated to her sons who gallantly fought and gave their lives during that battle. Information and Photos of this monument can be viewed Here. The State of New York erected a Monument at Antietam to her brave soldiers that fought there. N.Y.S. lost 3,765 officers and men killed, wounded, captured or missing in that one day of battle at Antietam. On this page, you will also find links to listings of All N.Y.S. Monuments at Antietam, and a listing of All N.Y.S. Regiments at Antietam. Was born on February 11, 1847 in Antwerp, 22 miles northeast of Watertown, N.Y. Albert Woolson was 109 years old when he passed away. Photos of his memorial in Gettysburg here. At 111 years of age, the oldest surviving Civil War Veteran, at the time, was James A. Hard, who passed away 3 years before Albert Woolson. Mr. Hard was born, and grew up in Windsor, only a few miles from Binghamton, NY. 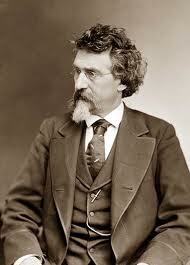 Mathew Brady Born in NY: It was widely known or speculated that the famous Civil War Photographer, Mathew Brady, was born in NY State, but where was unknown. Historian and author, Glenn Pearsall, has finally unraveled the mystery. Thanks to Mr. Pearsall for allowing me to use his article on this site for our readers. Using some of the photos I have taken at Gettysburg, I created a 3-3/4 minute Flash presentation showing some of the Gettysburg Battlefield as it is today. I wish to extend my sincere thanks to David Arkenstone for giving me permission to use one of his musical scores in my presentation. No updates at this time. .
understand our reaction when we saw this place.